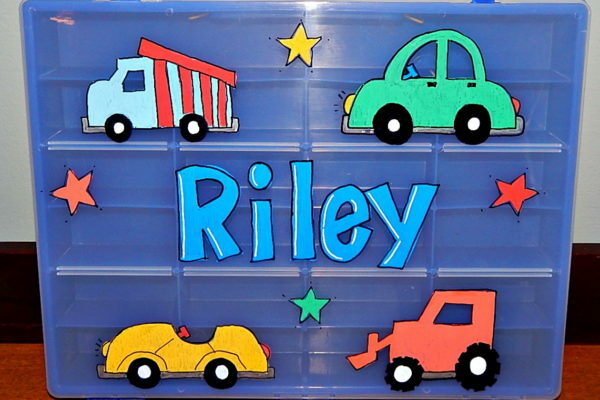 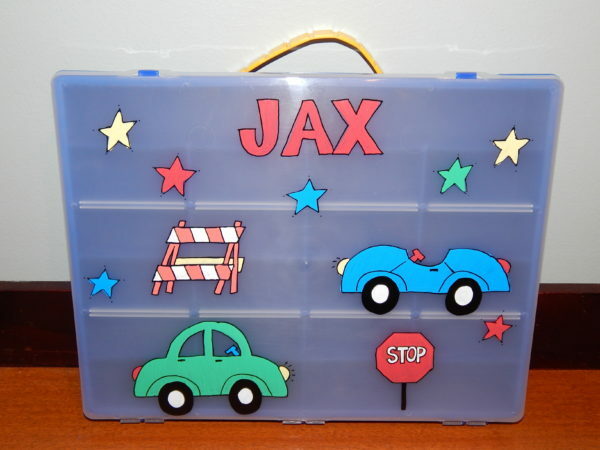 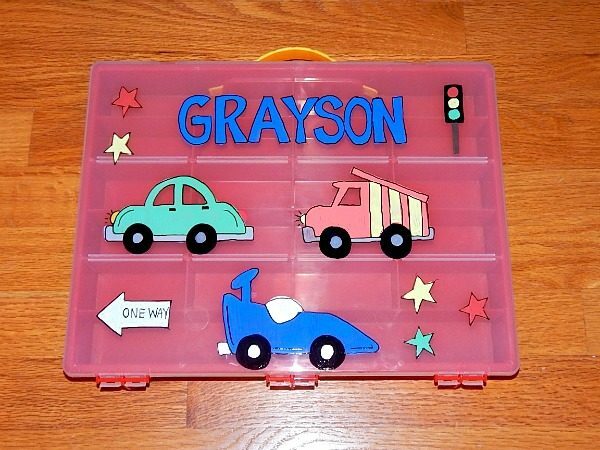 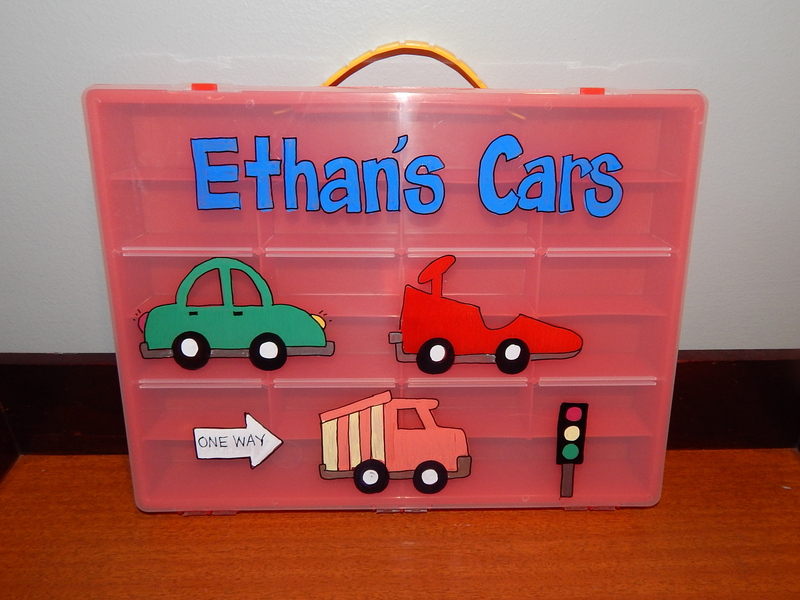 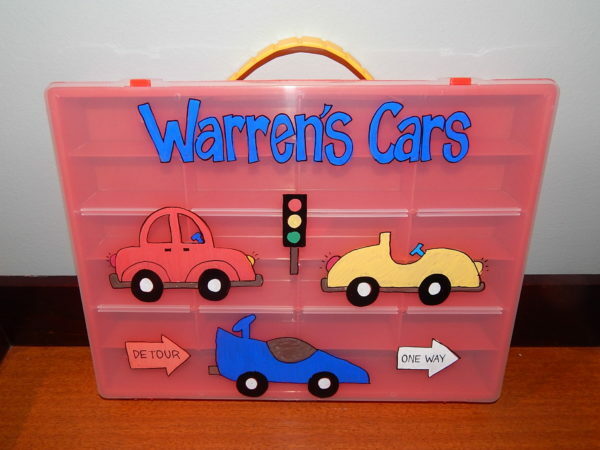 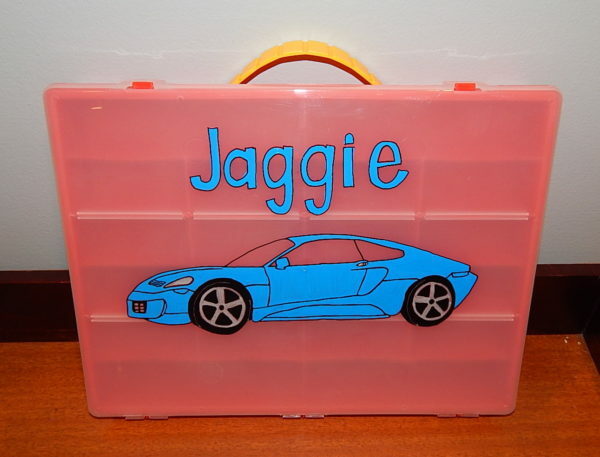 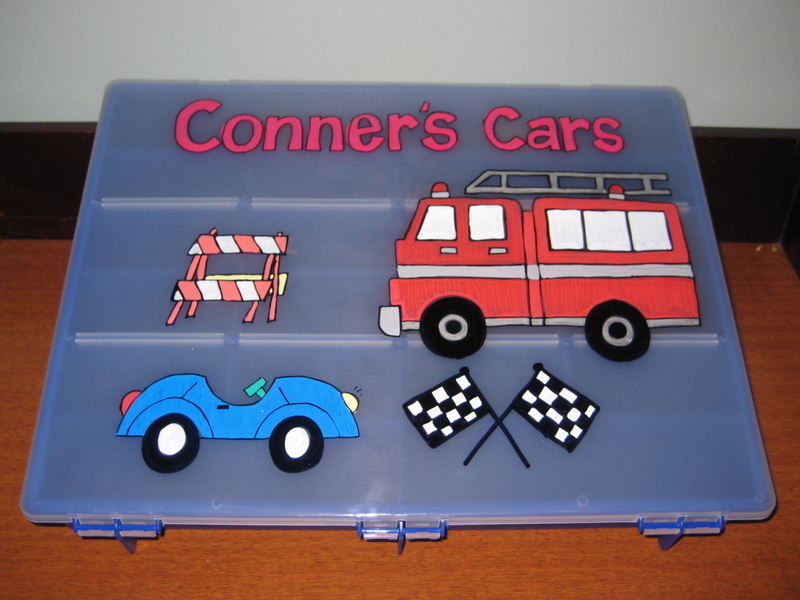 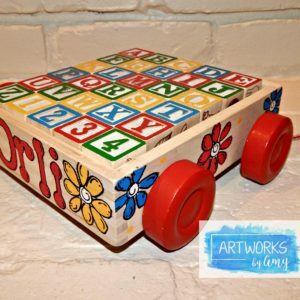 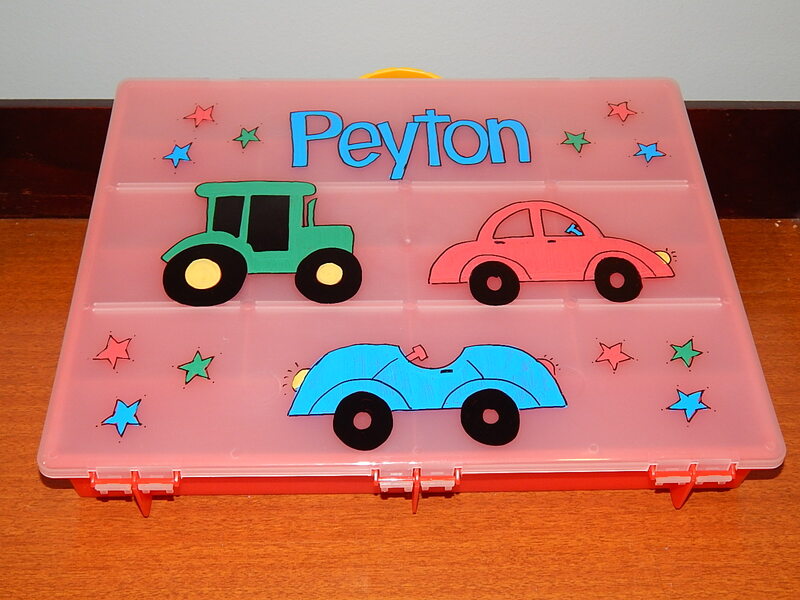 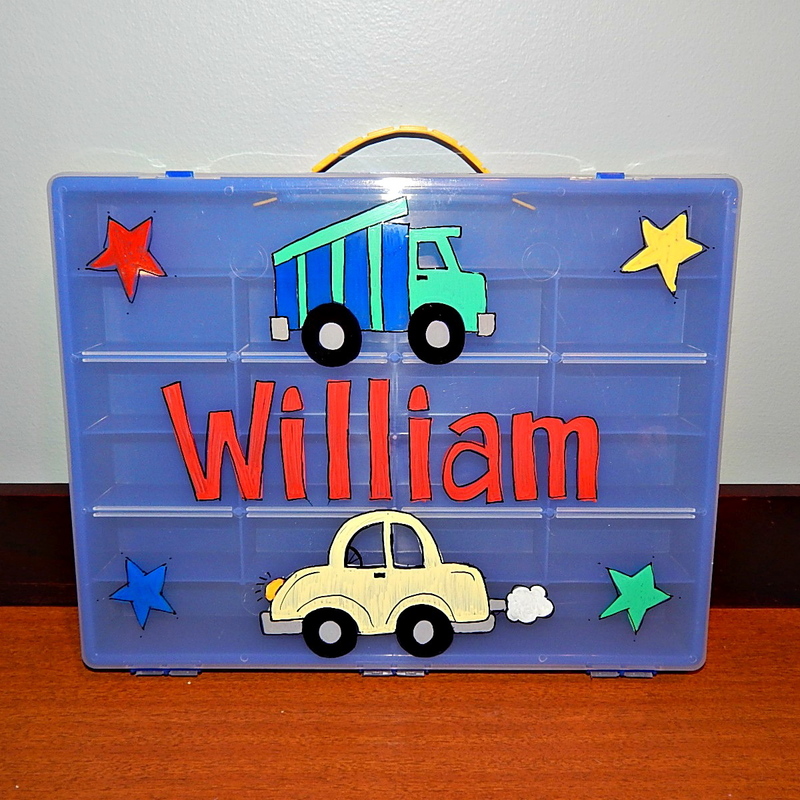 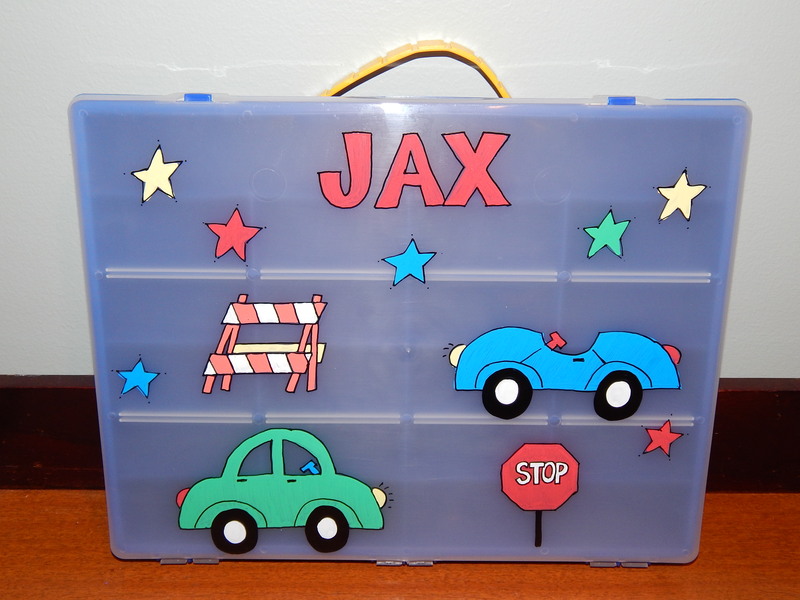 This durable car case is a perfect way to store and organize a collection of matchbox or hot wheel cars. 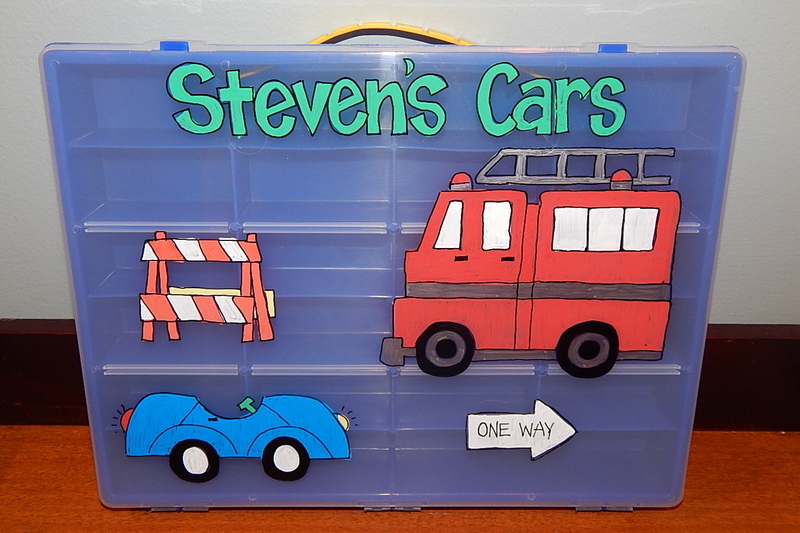 This lightweight case will hold 24 matchbox or hot wheels cars. 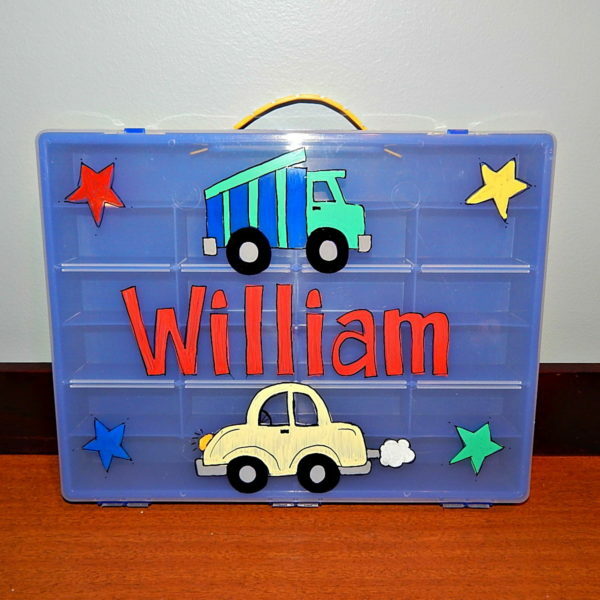 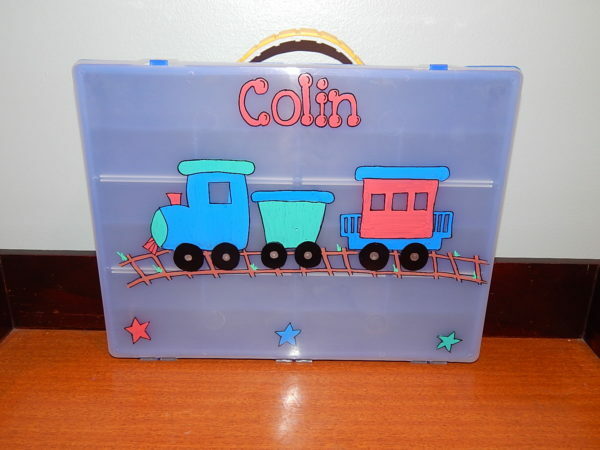 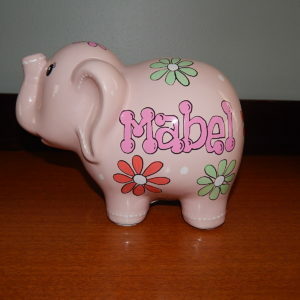 Available in either blue or red, this case can be personalized with cars, trains, street signs, and any name you choose.